Stunning Ocean Views from this Air Conditioned 2 Bedroom 2 Bath condominium located at the Kuhio Shores in sunny Poipu Beach! 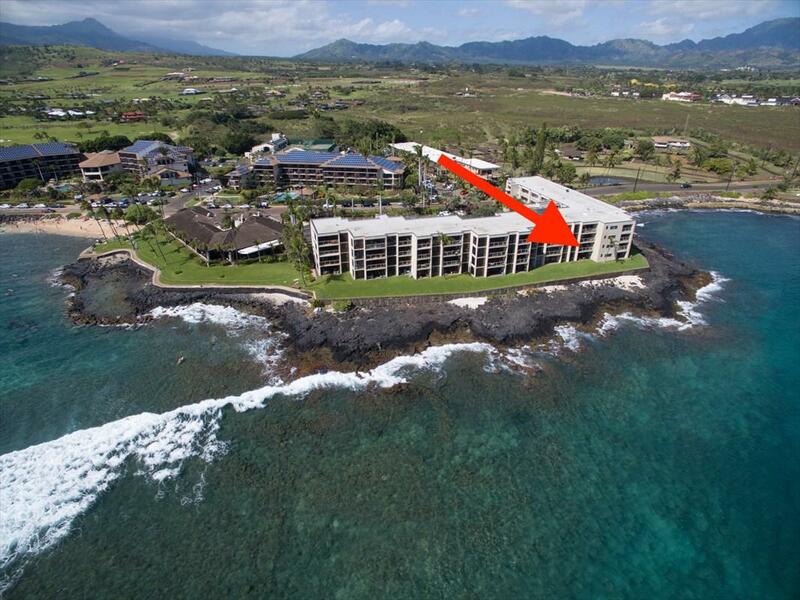 If you are looking for the perfect Poipu Beach property look no further. 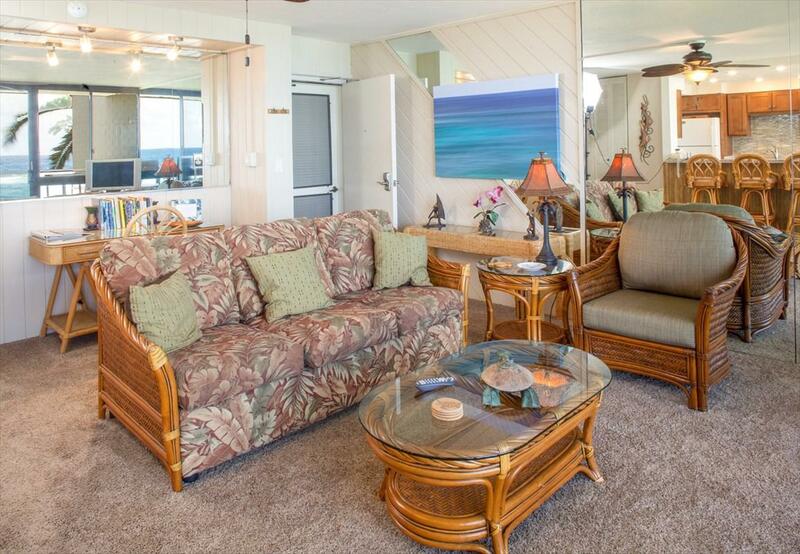 Kuhio Shores #210 checks all the boxes for those looking for a second home, a vacation rental or a combination of both! 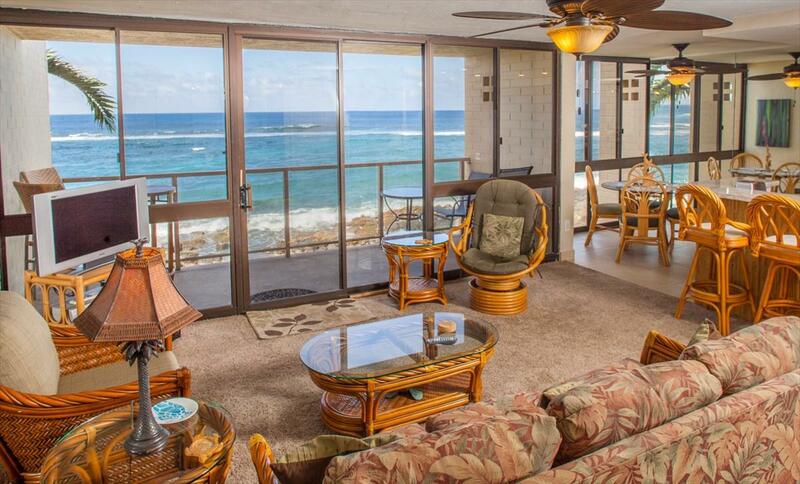 Kuhio Shores #210 has an ideal location as its on the "ocean side of this popular resort. Second floor security with unobstructed ocean views that go on forever! 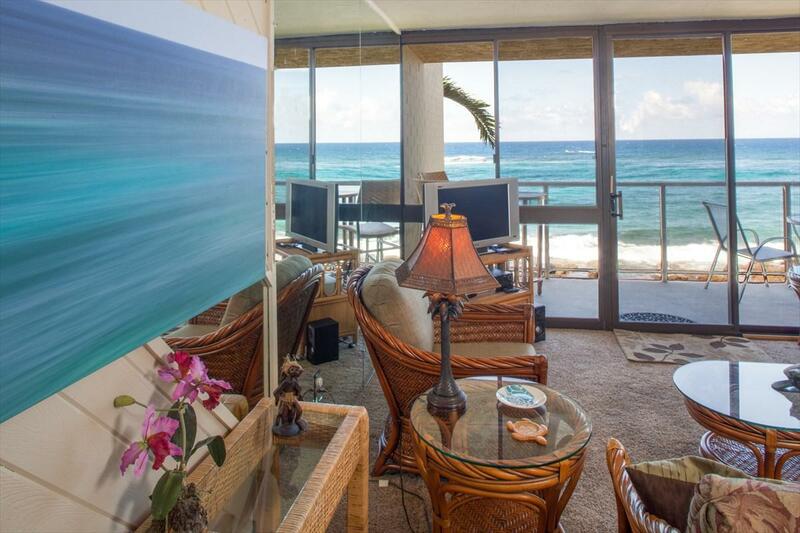 Sit on your couch or lanai and Whale watch, take in gorgeous sunsets, watch turtles feed just 30 feet away and take in the surfers riding waves at one of the best surf spots on the south shore known as "PKs. You dont need a car to access a popular snorkeling/swimming beach, surf spots or the famous Beach House Restaurant. Take an eleven minute walk to the Kukuiula Village Shopping Center for many choices in dining and shopping. Once inside the unit its clear this is not a typical vacation rental. The owners have personally overseen significant improvements in the last few years including:Air-conditioning in the living room and both bedrooms in 2017 Kitchen remodeled in 2014 to include: New appliances, cabinets, granite counter tops, porcelain flooring in kitchen and diningBoth bathrooms remodeled in 2014 to include: Porcelain tile walls, new tub in hall bathroom, decorative tile inserts, new sinksNew Flat Screen Smart TV in living room with Netflix built in for your useCustom art throughout the unitFloor to ceiling windows in Dining and Living Room for optimal ocean viewingEstablished vacation rental with bookings that will be conveyed to new ownerElevator in the building allowing for a no-stair access to your second floor unitHere are some comments from recent guests: Jan 29, 2018 - Loved it! Can't go wrong with this rental. Jan 26, 2018 - Awesome view of the ocean. Watched surfers, saw whales and sea turtles from the patio. Listing information © 2019 MLS Hawaii, Inc. All rights reserved. Listing courtesy of Re/Max Kauai Living - Poipu. © 2019 MLS Hawaii, Inc. All rights reserved. IDX information is provided exclusively for consumers' personal, non-commercial use and may not be used for any purpose other than to identify prospective properties consumers may be interested in purchasing. Information is deemed reliable but is not guaranteed accurate by the MLS or Elite Pacific Properties. Data last updated: 2019-04-22T13:34:19.647.